Grand opening events can be exciting, but having a theme for your event is always a good idea! Not only do themes highlight your aesthetic ability and help promote certain elements and asset of your company – it also makes the grand opening event feel more like a party, a celebration! And for a grand opening event, of course your guests are here to celebrate your success. Here are a few ideas for unique and awesome themes for a spectacular grand opening event that will definitely have your guests talking! Shake those tail feathers – The Great Gatsby is a classic theme that your guests will love! 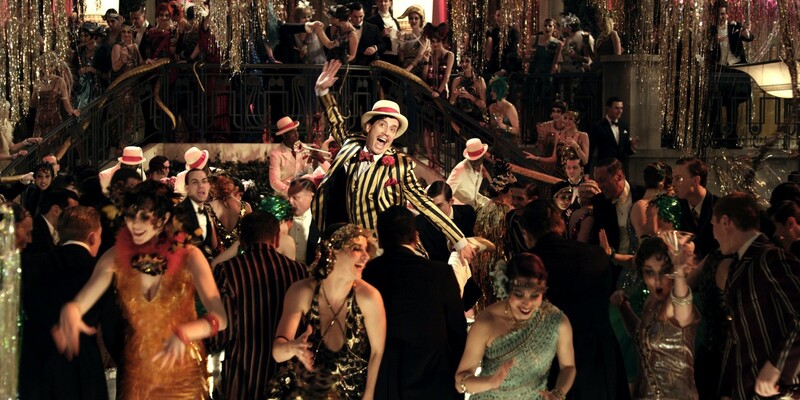 Encourage your guests to dress with the theme, and with champagne flowing and entertainers in flapper dresses, it’ll really feel like you’ve been transported back in time. Escape to the tropical islands of the Pacific at your grand opening event. A tiki bar and leis made from fresh flowers can liven up your event – consider hula dancers and polynesian fire performers to really exude that special Hawaiian spirit. The mystical and exotic theme of Arabian nights radiates luxury and elegance. Middle Eastern passed hors d’oeuvres and Moroccan teas amongst rich red and purple textiles and gold embellishments make for an extravagant grand opening event theme. Contortionists and aerial silks artists for entertainment compliment the Arabian Nights theme perfectly. Have beads and masks on hand for your guests at the door, and dance the night away! Partner with a professional entertainment company for bright and impressive parade-style floats as decor, and trained dancers glammed out in feathers and sequins. Especially around the holidays, Winter Wonderland is a classic idea for any grand opening event. With twinkling lights, white and silver decor, and Nutcracker-esque entertainment, your guests will truly feel like they are in a snowy paradise. Picture your guests (aka potential clients and business partners – the ones you really want to impress) walking into your grand opening event for your new venture. You want them to be filled with excitement, surprise, and wonder. Your grand opening event is your venture’s first impression, so it is vital you make it an unforgettable one. If one of these grand opening event theme ideas has caught your interest, or you’d like to explore what other ideas are out there, partnering with Creativiva, a Toronto-based international event planning and entertainment production company, is a great place to start. We create customised event planning and entertainment solutions, including themed and promotional events. Creativiva understands that a grand opening event is an investment in your brand, and we cater our events accordingly, with carefully designed entertainment solutions and thematic ideation that enhances your organisation’s image. Creativiva’s main objective with each corporate or grand opening event is to create an unforgettable experience. Grand opening event planning, and all the pressure that comes with it, can be incredibly daunting. Thankfully, Creativiva has been in the business of creating the most stunning, spectacular, and memorable grand opening events in Los Angeles, Las Vegas, Chicago, Miami and around the globe for over a decade – and we’re constantly expanding and building to deliver bigger and better event planning services and entertainment solutions to satisfy our clients’ needs. We’re always looking for a new project, a new idea, a new challenge – we’re ready to tackle your grand opening event with full force, and are ready to deliver unexpected and unparalleled perfection to make your grand opening event a roaring success.